During my early twenties, I partook in the classic youthful tomfoolery and hijinks that young men oft do. Especially a young man with a new house and a brand new SUV. My father sometimes refers to young men in this stage of their lives as, “Young, daring, and unafraid.” And that I was indeed. But in between the tomfoolery and hijinks, I knew that if the woman of my dreams came along, I wouldn’t be ready for her. I knew I would probably do something to mess it up and potentially miss out on the woman of my dreams. So I embarked on a quest to purge myself of my tomfoolery ways and abandon the hijinks that I’d grown so fond of. It was the summer of 1994. I set a date for when I figured I would likely be fully purged. 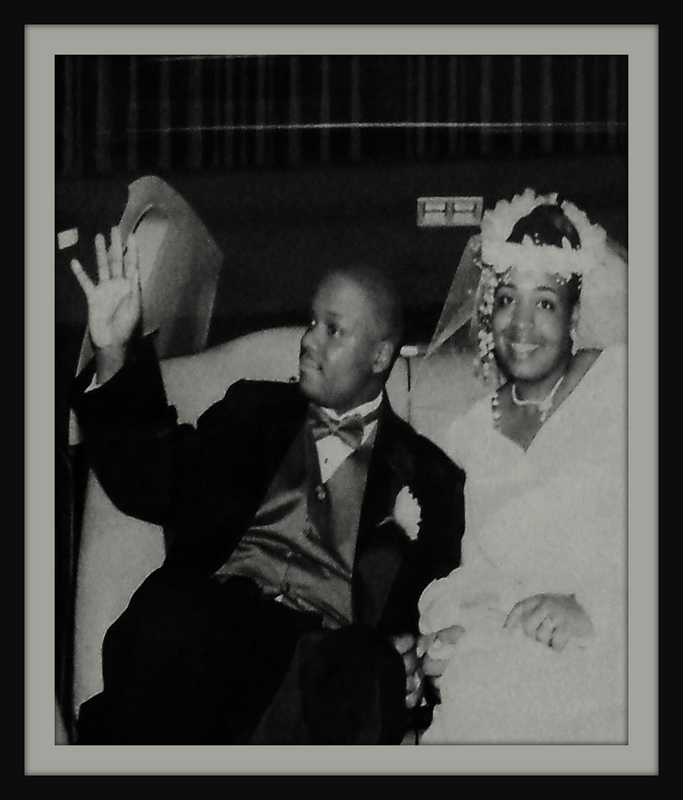 That date also coincided with when I wanted to be married, October of 1997. Why that month and year? Because I wanted to be married at the age of 27, which was 1997; and fall is my favorite season. I wanted my wife and I to go on future anniversaries trips in the fall when the leaves were changing but wasn’t too cold. I also wanted to be engaged for a year. So that meant I had to pick my fiancée by September of 1996 and convince her to marry me within a month in order to meet my required year long engagement timeframe. Small wrinkle though…I was not dating anyone. In fact, I hadn’t had a girlfriend since high school. So, I simultaneously set out to find someone that shared my same values about relationships, marriage, and family. I mounted what turned out to be a 2-year process of observation, assessment, and evaluation to find the right one. I had a list of criteria. It was a mental list that I compiled from qualities I observed in women over the years. The list contained qualities I wanted in a woman, and character issues I knew I didn’t want. All women were fair game. If she met the criteria, she made the list. I didn’t discriminate. My friends thought I was crazy because I didn’t have a girlfriend. One of my co-workers, thought my whole plan was really crazy. BerNadette (Bernie) and I worked on the same team. Like in most work environments, you end up sharing a lot of your personal lives with your co-workers. Our team had that kind of dynamic. But Bernie and I sat near each other, so we knew all about each other’s past relationships and personal issues. During those 2-years, I began to curtail some of the tomfoolery and hijinks. I gradually cut back some friends that were a part of that old life. I eventually stopped going to my old stomping grounds. I got more serious about my relationship with the Lord. Basically, I started to grow up. During that time frame, Bernie and I became very close friends. So close that I looked up one day and discovered that, although we were complete opposites, my co-worker and close friend, Bernie, met the criteria. She made the list. The list started with nine, and now there were just three; and the September 1996 deadline was drawing near. But unbeknownst to me, while I was watching her, she was watching me. She noticed that I had been purging my tomfoolery and hijinks ways and replacing them with a newly learned God-fearing lifestyle. She also respected my opinion. She began seeking my advice on serious matters in her life. She saw that my words matched my actions. And that I could be trusted to do exactly what I said I was going to do. What a beautiful Godly example!! The Cooks love yall::)!! Now THIS is some love story! And here I was thinking my hubby and I had the all-time love story LOL This was beautiful Heath. Congratulations and happy anniversary to you and Bernie! Thank you for sharing your story! Took maturity to take a leap and discover the best thing for yourself–Bernie! May your wedding be few and your anniversaries be many! You stated you had “three” women to choose from. So where you just being a player and untruthful about your dating situation or just sleeping with the other two women until you decided to marry your current wife? Here’s the thing, when I started out on this journey, I didn’t know how I was going. really I didn’t. The list started out at 9 women and it dwindled down to 3. I didn’t start out with 9 because I though I was smooth enough to be able to mack 9 women (okay maybe I did…but) really my thinking was: it doesn’t matter who I choose. I’m going to do whatever it takes to get her. See up until that point, 24, I hadn’t let anyone get close to my heart because it got broken when I was in high school. So I knew when it came time to open up the flood gates of my heart again…to someone who deserved it…I determined I was going Niagara Falls of whoever she is. So to me, it didn’t matter who she was, or how close or disconnect we were before I made up my mind. I was going after and I was going to get her. And 16 years later…she’s still here. I really enjoyed your sharing of you and Bernie and only pray that my life story will continue to be as flourishing as yours. Beautiful story, thank you for sharing. This generation is in desperate need of examples like yours. Thanks Joanna. I appreciate you words of encouragement.